Starting a small business requires a lot of work, and it can be easy to let some necessities slip through the cracks. However, hiring a business attorney should be a major priority if you wish to succeed. If you are getting sued, it is already too late. Instead, hire a business attorney now, so that you can receive the legal help you need at all times. But before you cross the t’s and dot the i’s, there are some questions you should ask a potential business attorney to ensure that you are really hiring the best fit. 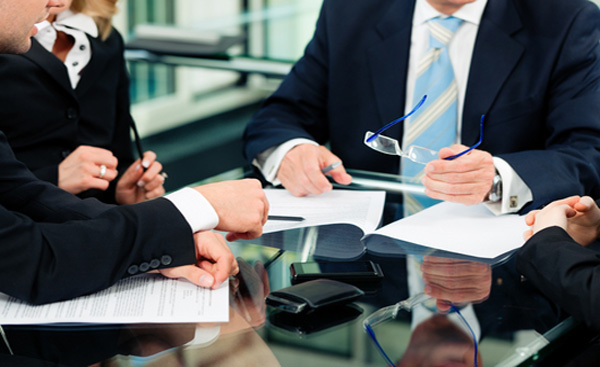 Below is a list of things to consider before hiring a business attorney. While having a business lawyer is never a bad thing, it can be a bit restrictive in terms of business capital budgeting. However, there are some instances where hiring a business lawyer is an absolute necessity. If you are being sued for discrimination, investigated for legal or regulatory violations, involved in an environmental issue or negotiating a sale or business acquisition, you need a lawyer. Otherwise, you may be able to get by without a business lawyer. Consider your budget to determine the best course of action for your business. Unfortunately, cost is a major factor in the decision-making of many small businesses. Determining your budget for a business attorney is essential to starting off your search. If you are already considering a few firms, be sure to ask what their hourly rates and other fees are like. You do not want to hire a lawyer that you cannot afford. Instead, consider your budget ahead of time. Decide if a big or a small firm would work better for your business. Remember, larger firms generally equal a greater overhead cost, but it may be worth it depending upon the nature of your business. Regardless of what you decide, having a budget in mind will be a great asset to your business attorney search. The next question you should ask when considering a business attorney is if they have experience in your industry. This question is crucial to the success of the attorney. Hiring someone who understands the ins and outs of the industry will undoubtedly be useful when dealing with industry-specific legalities or even lawsuits. Make sure that you are hiring an attorney that knows how your business fits within the industry. This, combined with their legal expertise, will make for a successful match. Before you hire a business attorney, always make sure that they are masterminds in your field, capable of attending to your specific business needs. Have They Worked With Similar Companies? Another factor to consider when hiring a business attorney is whether they have worked with similar companies. This goes beyond industry compatibility. Hiring a lawyer that understands the nature of start-up companies is essential to helping yours succeed. The company culture can play a major role in how your business operates. Whether you are a young and vibrant tech company or a traditional, family-owned store, you should always be prepared to screen potential lawyers with this question. That way, you can make sure that any attorney you hire is prepared to fit in. Do You Know Anyone Who Has Worked With Them Before? Word-of-mouth is not just a great marketing boost for your company. It can also be a great way to find potential business attorneys for all different organizational structure types. Having references to back up your decision can make the task of hiring a business attorney much less daunting. Ask around to friends and other local businesses to see who they would recommend. You may find that the business attorney you need has had great success with your second cousin’s start-up. Take the time to hear referrals from people, so that you can be certain your business attorney is a good match. If you are a small business in need of a business attorney, there is a lot to consider. Thankfully, we have outlined a few of the most crucial questions you should ask during the hiring process. As long as you do your research and have these honest discussions with potential candidates, you will surely find a great business attorney. I agree that it is important to hire an attorney that is familiar with your industry. It seems pretty pointless to hire someone who is an expert in the food industry if you are working in medical. You might consider asking similar businesses who they have used to represent them. This could help you locate an attorney that is perfect for what you need.